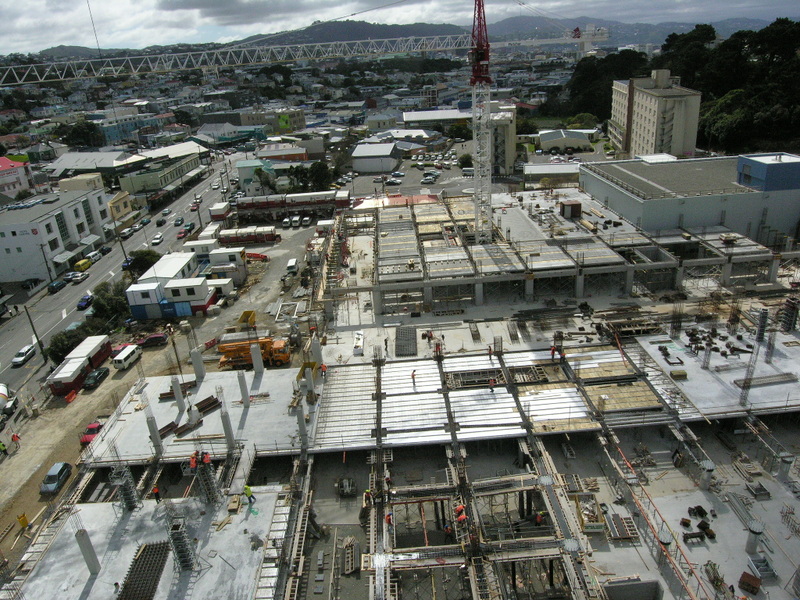 Formal proposals for a new Wellington Regional Hospital began in 1999, were submitted to government in 2001, and approved by Cabinet on 1st May 2002. 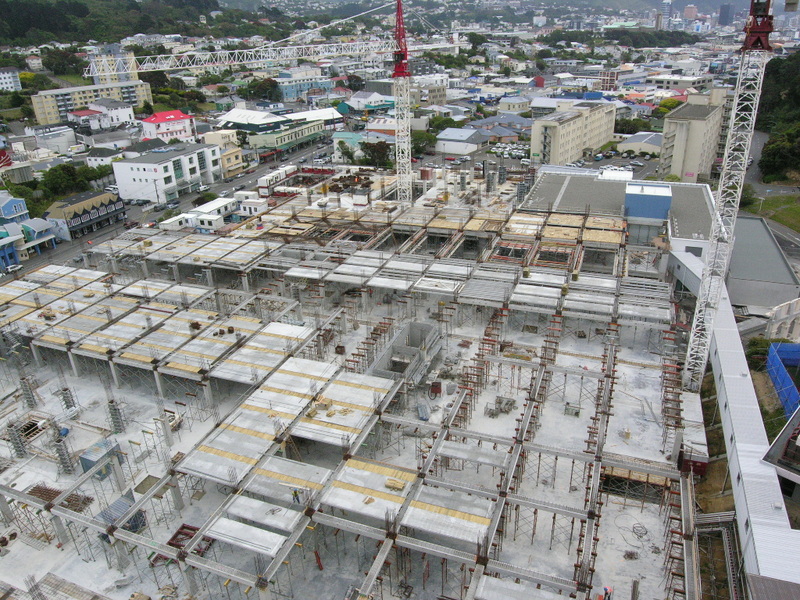 The overall project included improvements in service delivery at Kenepuru and Kapiti. 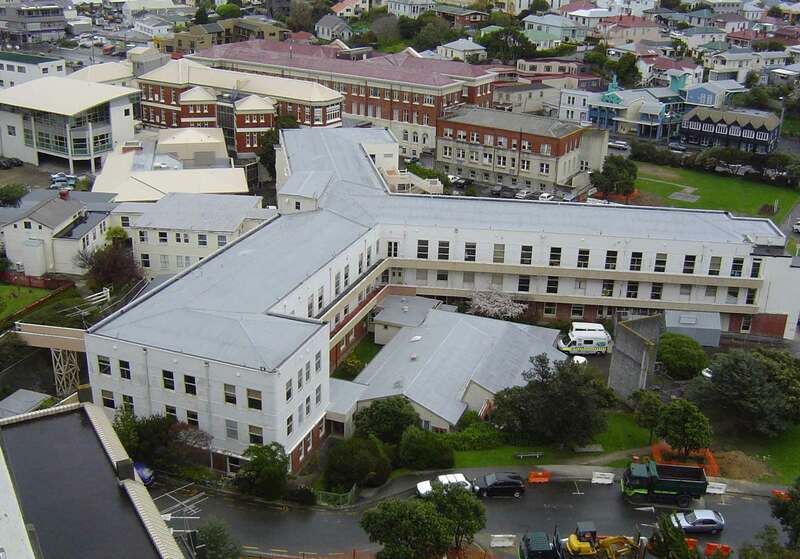 For the new regional hospital (NRH) to be built, many of the older hospital buildings (and some not so old) would have to be demolished. The 210-block would be the first to go. 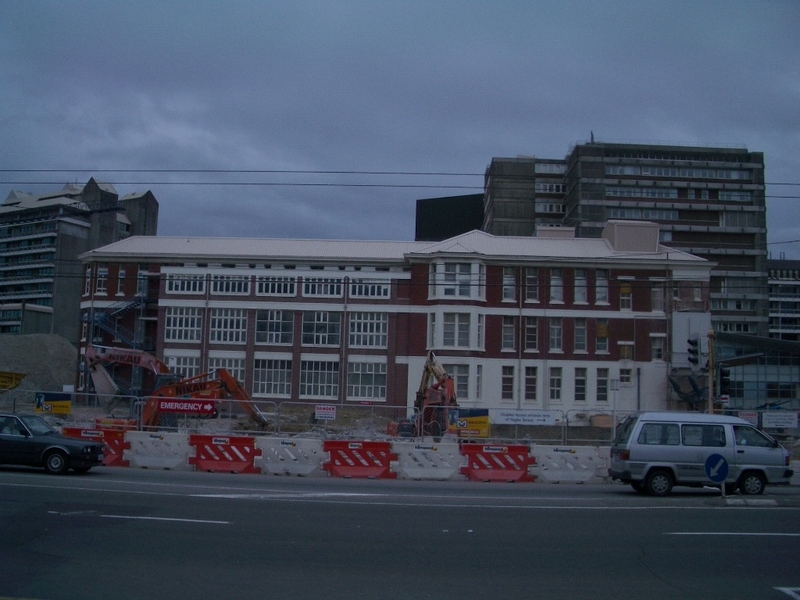 This image taken in October 2003, a few months before demolition commenced. 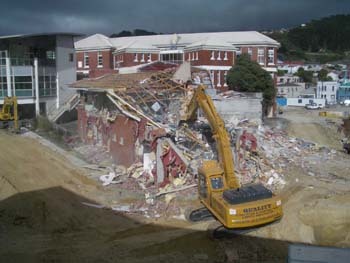 Demolition of the 210-block began in February 2004. In the process, the rather flimsy structure was revealed which reflected on the shortage of building materials during its construction in the WW2 years. 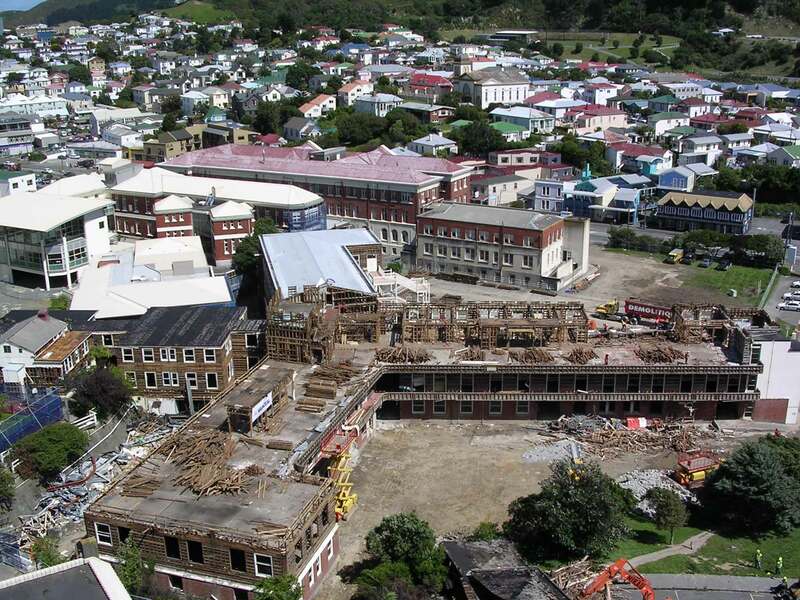 The next buildings to be demolished were the front block extension and the front block itself. 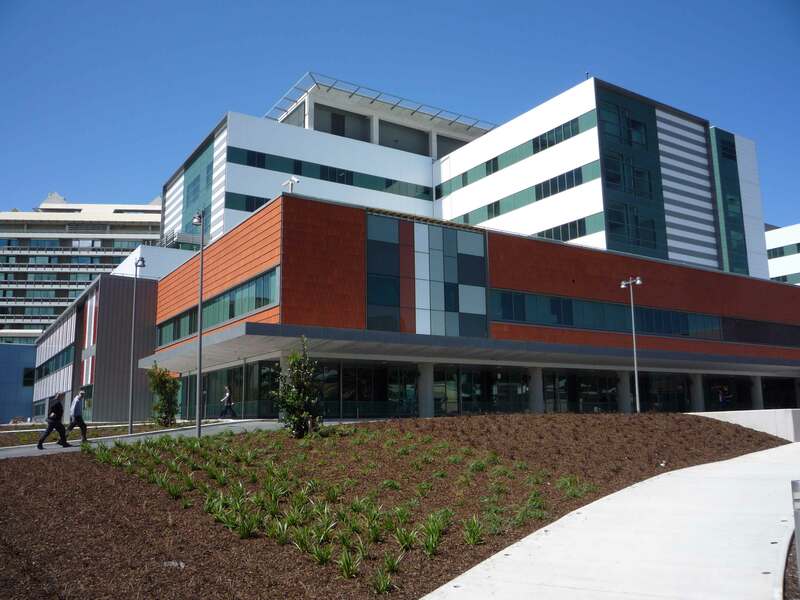 With demolition of the 210-block complete, the Cancer Centre is ‘revealed’. 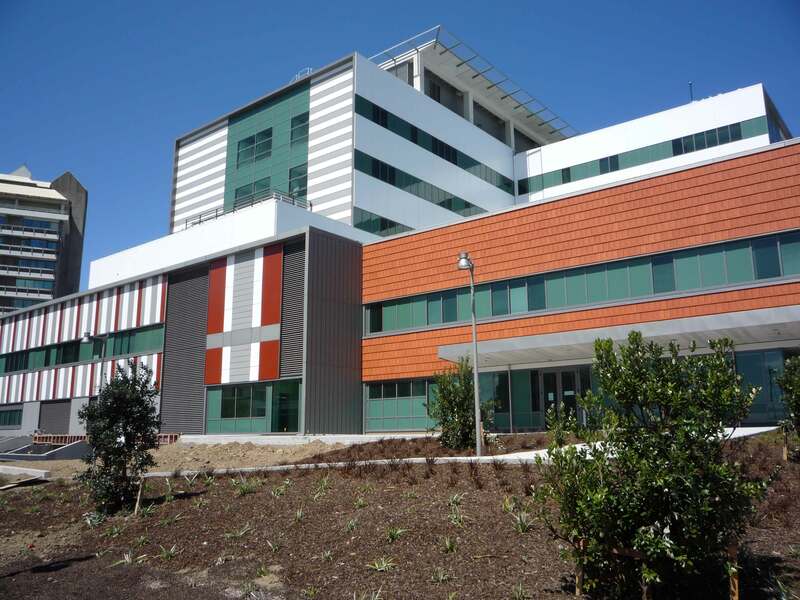 Although a fairly new building, it was situated on land required for the NRH. 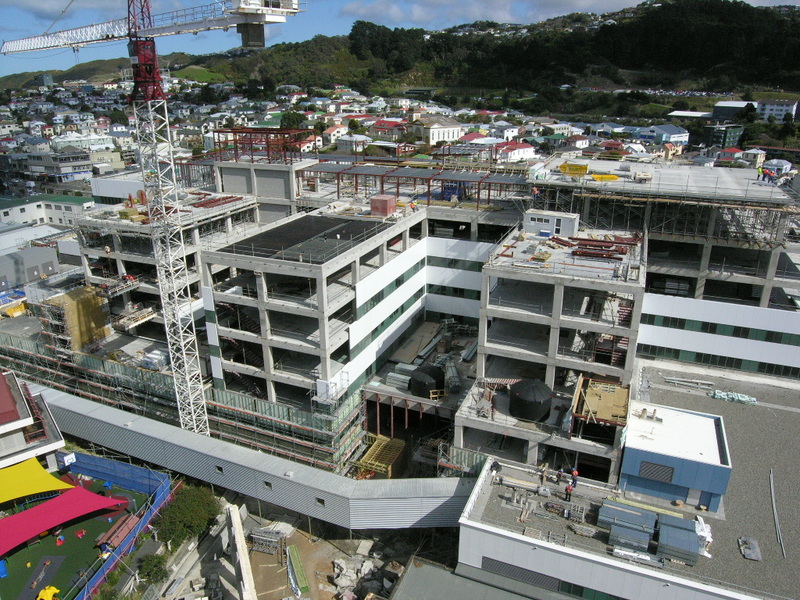 Accordingly, the first part of the NRH to be constructed was a new Blood and Cancer Centre. 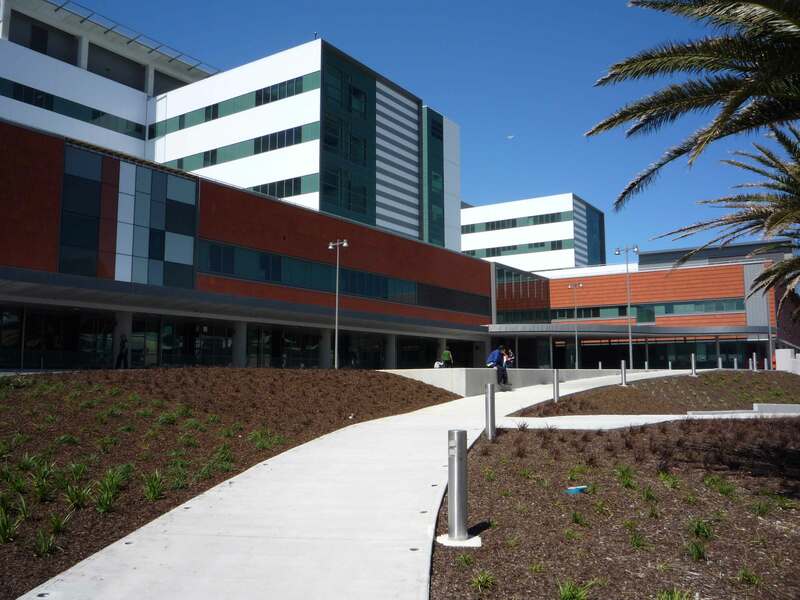 That would be situated at the north-east corner of the new hospital and until the remainder of the NRH was completed, access would be from Hospital Rd or via a long temporary corridor. 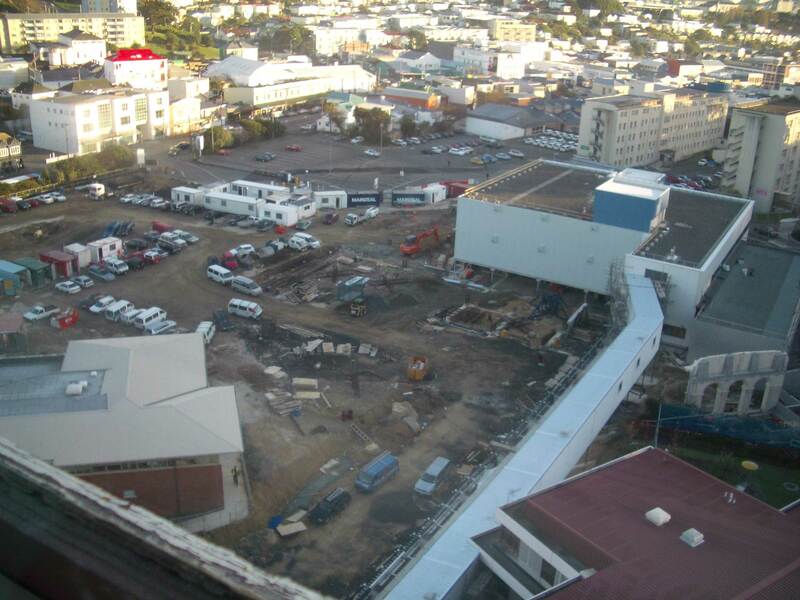 Once completed, the former Cancer Centre, along with the AT&R building could be demolished. The design brief for the new hospital included provision for the preservation of the front block entrance arches and steps. 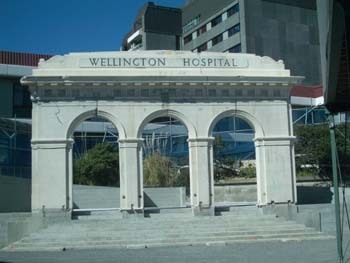 These were features of the old hospital which the Wellington public had become so familiar with over a period of nearly 80 years. 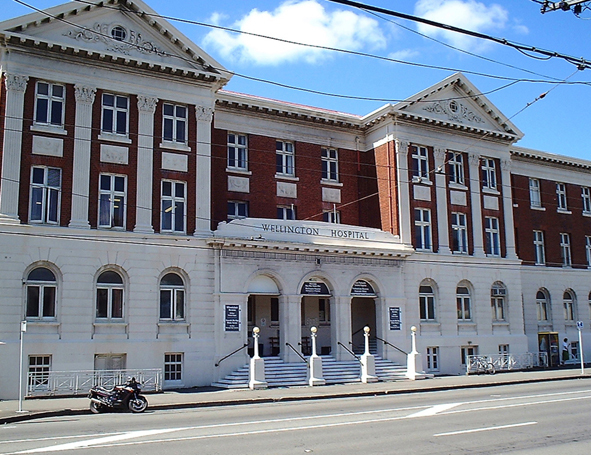 In preparation for this exercise, the front block entrance was boarded up on 14 May 2004. 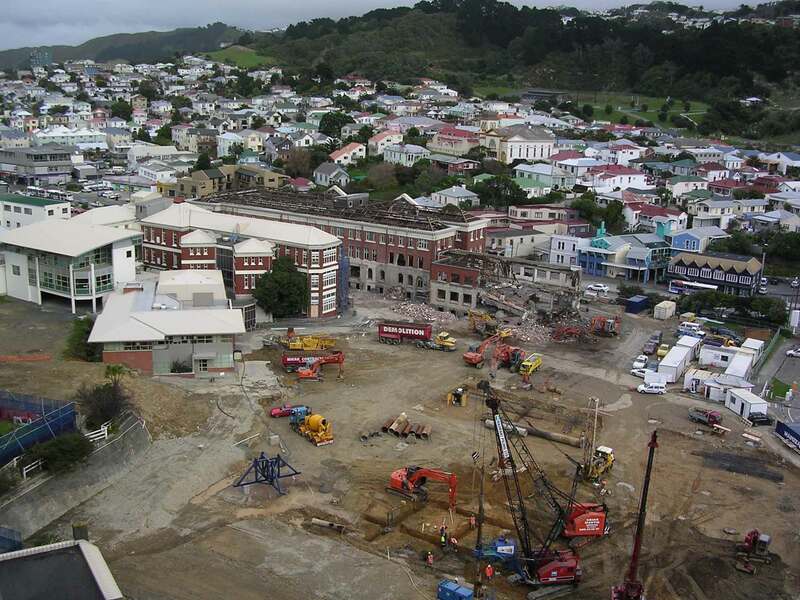 When the time came to demolish the front block the entrance stairway and arches were carefully preserved, removed from their usual location and re-erected in what would be a courtyard at the rear of the NRH and in front of the Children’s Wards. 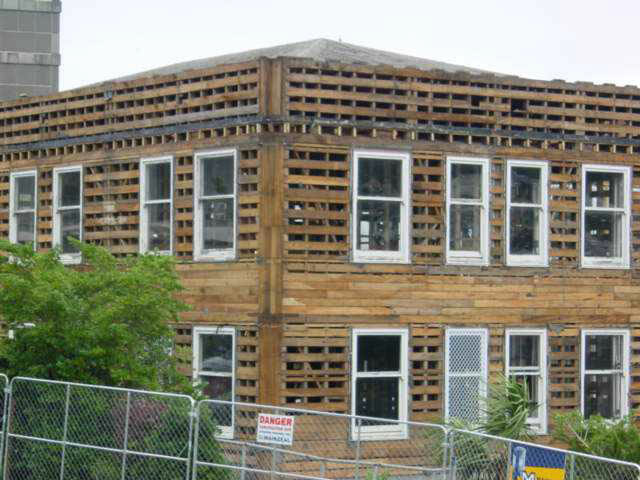 With demolition of the front block, the 1928-vintage three-ward block was revealed to passers by on Riddiford St. 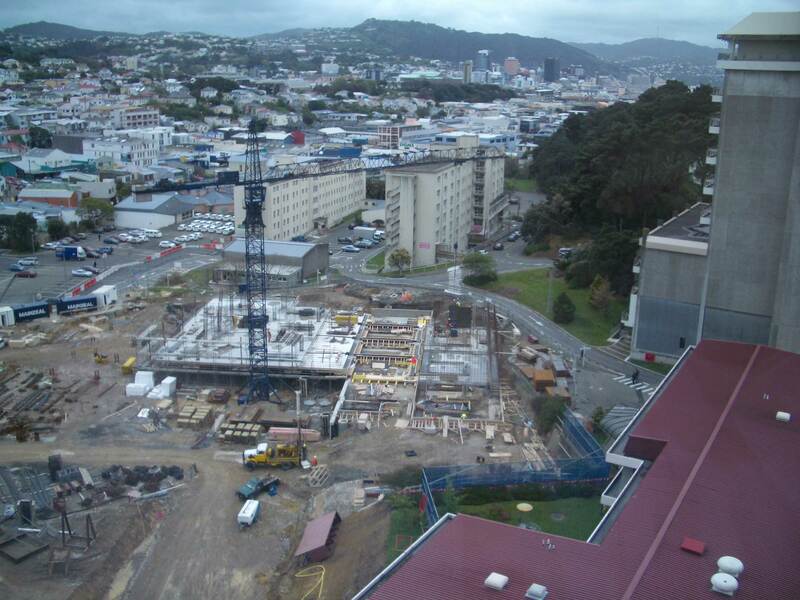 Meanwhile construction of the NRH proceeded, as the following images show. 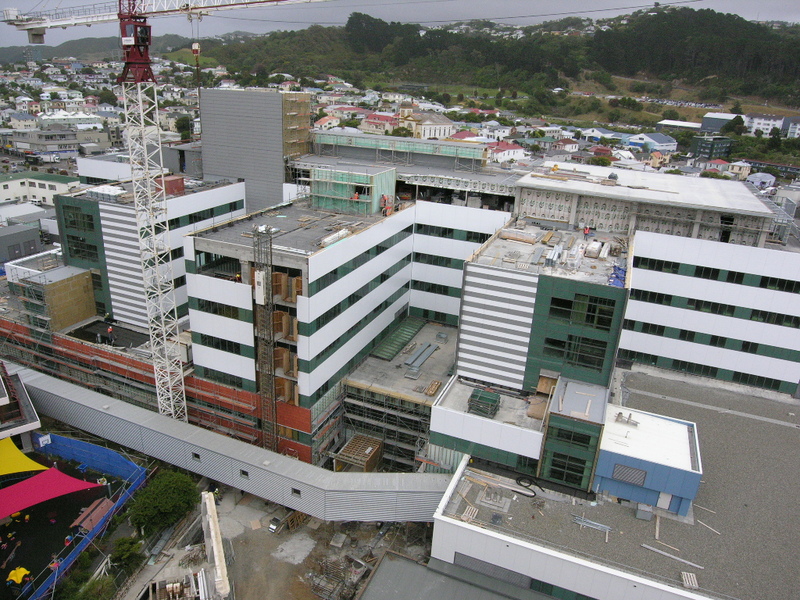 Construction was completed in 2008 and the new Wellington Regional Hospital officially opened on 6 March 2009. 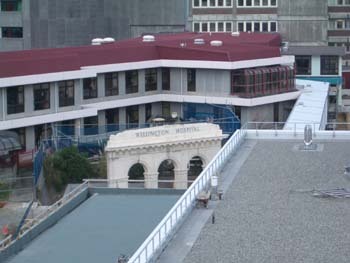 The exterior of the new complex is shown below together with an aerial view.